Why every one like cute baby ? Because One factor is Baby's Skin. God has gifted soft skin to baby and it’s a duty of the parents to care of skin. So we have collected a valuable information regarding baby skin and How to care it with natural and proven techniques. From the Quora site One has asked which are the proven technique to care skin of your baby so here is my analysed data on skin care. So here We have collected a Top 5 Skin care proven tips. The technique of the hot oil (coconut oil) massage whitens your baby’s skin tone, keeps his skin nourished, and smooth. Massaging your baby’s skin with hot oil adds an extra layer of moisture to your baby’s sensitive skin and helps restore the right balance of the oils in the skin cells. With a regular hot oil massage your baby’s skin tends to shine, blossom and attain a fair pinkish shade. Some of the best essential oils for massaging your baby’s skin are almond oil, coconut oil and olive oil. In wintry climates, use heavy moisturizing cream on your baby at least twice a day To keep your baby’s skin smooth, soft and fair your need to follow the proper steps of ideal baby skin care. 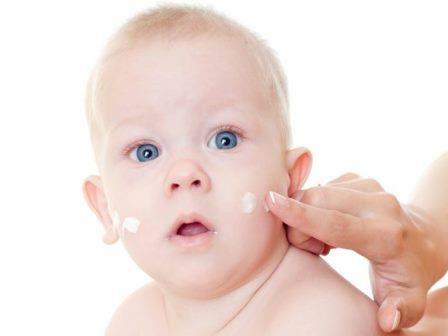 Only use good quality moisturizers and other products to enhance or whiten your baby’s skin tone. For the best results, apply the baby moisturizer three to four times a day. It helps your baby’s skin replenish the lost nutrients and makes the skin appear glowing and replenished. Moisturizing also helps to keep aridity at bay. Make sure the bath water is comfortably warm but not hot before putting your baby in. Whether you use a geyser or an immersion rod, it is a good idea to check the temperature of the water. Do a “touch test” by dipping your elbow or the inside of your wrist in the bath water. Put cold water in the bath first, then hot. This will reduce the risk of scalding your baby. Never put your baby into a bath when the water is still running. The water temperature can change quickly. If you’re using an adult-sized bathtub or a shower, cover the taps. Try to teach your baby not to touch the taps as she grows into toddlerhood. Even if she can’t turn them on now she’ll be strong enough to do so soon, and she could scald herself. If you have separate hot and cold taps on your bath, you could fit a mixing valve to the hot tap. This will control the water temperature so it won’t get too hot as it comes out of the tap. A child can get second and third-degree burns within seconds of being in water that’s too hot. Although her bath may be warm, your baby can quickly lose heat when you take her out of the water, especially in the cold winter months. This is why in summer you should give her a bath in warm water as well. So keep the bathroom warm. When you lift your baby out of the bath, wrap her in a hooded towel and dry her before putting her nappy on. Then wrap your baby in a dry towel or blanket again, and give her a cuddle for about 10 minutes to help her keep warm. Once she’s dressed, wrap her up again in a dry, warm blanket. 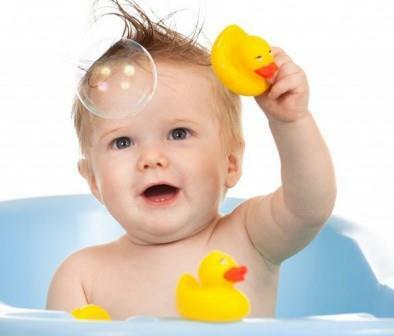 Don’t use a harsh soap on your baby’s skin, as it can lead to skin peeling and dry the skin out. You can make a homemade bath pack of raw milk and rose water. Apply the mixture slowly to your baby’s skin and wash it off with lukewarm water. You can also use a baby soap or a glycerin baby bar, as these products contain a lesser percentage of sodium and don’t harm to your baby’s delicate skin. When you wash your little one’s clothes, use a detergent that’s free of perfumes, chemical and dyes. You should use the same product for the entire family. 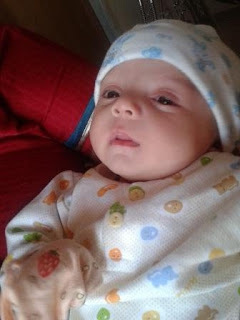 We have also collected information regarding Indian Baby Boy Names, Indian Baby Girl Names, Christian Baby Boy Names, Christian Baby Girl Names. You are free to suggest us or correct us by sending good comment. For your baby if you want any information in any field then please check regularly our blog, we will update it regularly.